It appears that Clarity accounting is now Kashoo accounting. They changed their name for branding purposes. You can still use this software for church accounting purposes, but it isn't specifically geared towards churches. First of all, you might note a few good things right from the get go: (1)the website is an http(s) (that "S" is important and means that the company spent the money to be more secure--a good sign (2) they are secured by Geotrust and (3) the website is professional and easy to navigate. If you see these three things on any online website, it is extremely unlikely that you will be scammed. 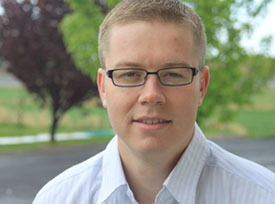 Next, Clarity offers free church accounting software for 30 days (a demo version). This is a sign that they are confident in their church accounting software. This is the exact opposite of those "miracle weight loss pages" that are 100 pages long, and keep saying that they will tell you the secret to weight loss once you get to the bottom of the page (in the meantime you have to read all their propaganda, usually in the form of success stories). I'm sorry if I'm getting on a tangent here, but I can't stress this enough, please avoid sites that are all propaganda and offer quick and easy solutions. Clarity's 30-day free church accounting software trial is better than most because they don't require a credit card number before you can use the trial. Many companies give you a free trial, but ask for your credit card number in hopes that you will forget. Once your trial time is up, they start charging you (very annoying). The Good: Keep in mind we were using the demo version as we tested their online software. The software has all the financial accounting information any church would need. The software is very intuitive. When you tell the software to do something, it does! The layout and reports are very aesthetically pleasing. The Questionable: When I clicked on the graphical reports, it kept sending me to some random web page that hand nothing to do with Clarity Accounting (a little frustrating, but again, maybe this is the demo version). Keep in mind that this is online church accounting software which comes with the benefits of being able to use it anywhere, but also the security issues that come with online software. We advise that you do some of your own research before making any purchase of church accounting software but Clarity Accounting appears to be a good product for a low price of $10 a month. 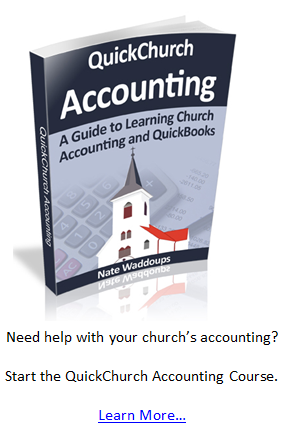 Feel free to sound off on any Church Accounting Products in the comment box.